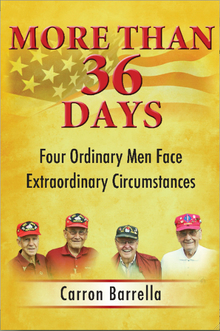 "More Than 36 Days" is the stories of 4 men who served as United States Marines during World War II in the battle for Iwo Jima island. It is NOT a typical war book as it focuses on the men, their backgrounds and how their war experiences defined them into the men they grew to become. They spent 36 days on the island but their stories are more than that! We will send More Than 36 Days to your Kindle at . More Than 36 Days has been sent successfully to your Kindle!